The picturesque Cotswold town of Cheltenham has a population of approximately 115,000 residents. There are numerous independent funeral directors in Cheltenham who can advise on funeral arrangements for families from all backgrounds and religions. Cheltenham’s places of worship reflect the needs of a diverse, multicultural community. There are many churches in the town, including the medieval parish church known as Cheltenham Minster. Other places of worship include the Elim Pentecostal Church, Bethesda Methodist Church and the Quaker meeting house. As well as Christian places of worship there are two mosques in central Cheltenham serving the needs of the Muslim community. These are the Masjid al Madina and Masjidul Falah. There is also a Hindu Community Centre on Swindon Road. Cemeteries in Cheltenham are managed by the Borough Council. Cremations are available at the cemetery on Bouncers Lane, just off Prestbury Road. There is also a smaller cemetery in Charlton Kings, a suburb southeast of the town centre. 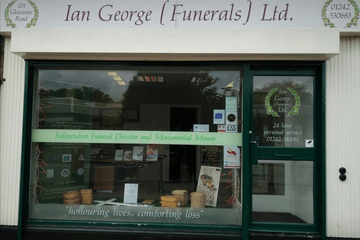 There are 20 funeral directors in Cheltenham and across its suburbs, providing funeral arranging services to bereaved families and individuals. They can advise on all types of burials and cremations to suit the needs of their clients. 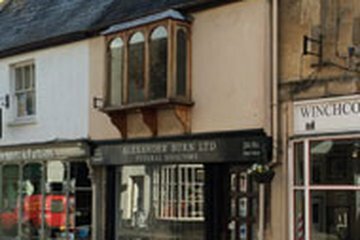 Search now using your postcode or area to find local funeral directors in Cheltenham. You can order results by best rated, most reviewed or nearest to you to see what is available in your local area. Click on a funeral director’s profile to learn more about the services they provide, read independent customer reviews, and find out how to contact them to discuss funeral arrangements for your loved one. Both Ian and Denisha were excellent. They were very professional and supportive at a very difficult time, nothing was too much trouble for them. On they day of the funeral, again, Ian was excellent, he made sure everything ran smoothly. We have had so many positive comment about the service, this couldn't have happened with out Ian and Denisha's support. Thank you. The kindness and professionalism was really appreciated. Would definitely recommend your services. Everyone who attended said it was a wonderful celebration of her life and was so like her. Thank you for everything you have done at this difficult time. Kind, efficient, and prepared to take whatever trouble it took to get the funeral as I wanted it.